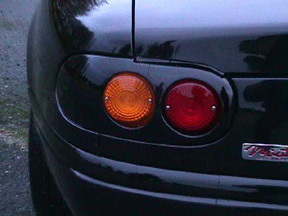 Give your Miata a classic European tail light look, with the Simpson Design tail light kit. 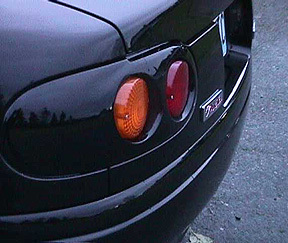 These semi-flush fitting, round lenses in body-colored tail light housings include the housing lenses screws, light sockets, bulbs and instructions. Painting is required. We're betting when you see these, you'll gladly give up the factory backup lights. Compare the look, quality, and price with our competitors. Price: $450.00 (Pair) + $30.00 Shipping.